Afghan Soldiers Attend Selection Completions for Invictus Games More than 70 service members of the Afghan National Army attended weightlifting and volleyball selection competitions for the upcoming Invictus Games. Afghan …. A New Home For The Summer X Games ESPN’s Summer X Games will be hoisted for the first time at its new home this year, US Bank Stadium in Minneapolis. …. American Team Captain Announced For Invictus Games The team captain has been announced representing America in the Invictus Games as Air Force Captain Christy Wise. Wise is a veteran of …. 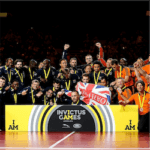 Christy Wise Named US Captain for Invictus Games Christy Wise has been named the captain of the US Team for the upcoming Invictus Games. Wise lost her leg in 2015 …. 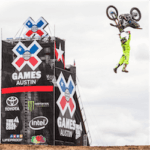 The 2017 Summer X Games For many punters and sports enthusiasts, any major sporting competition is a chance to review the latest sporting technology and get in on some serious …. 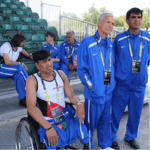 Afghanistan Ready for Invictus Games The CEO of the 2017 Toronto Invictus Games flew to Kabul recently to meet with potential Afghani competitors in the upcoming Invictus Games. Established by …. 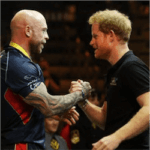 New Zealand Will Contest 2017 Invictus Games New Zealand sports betting enthusiasts will be celebrating the unconquerable human spirit in September, when Toronto hosts the third Invictus Games. New Zealand …. New Law Could Mean Free-To-Air Rugby and Netball A proposed new law is being put forward that will greatly benefit the sporting community. 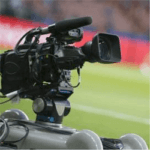 The new law aims to provide free-to-air …. 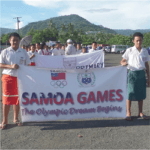 Officials Hopeful that the Rejuvenated Samoa Games will Flourish Officials are hopeful that more sporting federations will support the Samoa Games going forward. The revived Games kicked off yesterday in ….